Next please complete the very short survey below to help us make our decision! The minutes from the recent parish council meeting on 16th May have now been published and can be viewed by clicking here. Any questions please do not hesitate to contact any councillor or the clerk who will be more than happy to answer them for you. 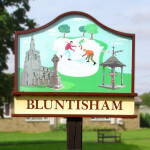 The next full parish council meeting is being held in Bluntisham Village Hall on Monday 16th May. Click here to access the agenda for this meeting.